Yahoo! 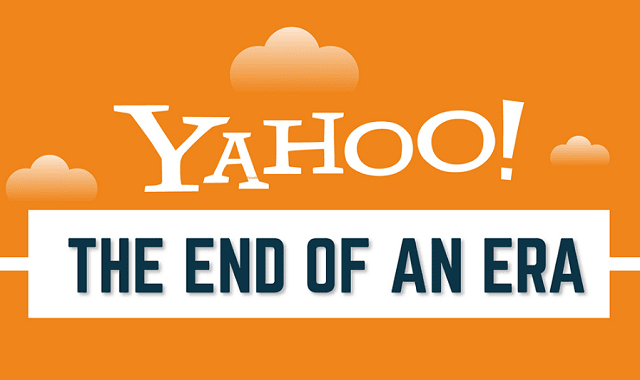 The End Of An Era #Infographic ~ Visualistan '+g+"
Not everyone is going to remember this but there was a time not too long ago when Yahoo was the most popular search engine on the web. The company has seen its share of ups, downs, and major changes since it’s original debut back in 1994. After frequent changes in direction and upper-level management, the company was sold recently, bringing a significant era in online history to a close.